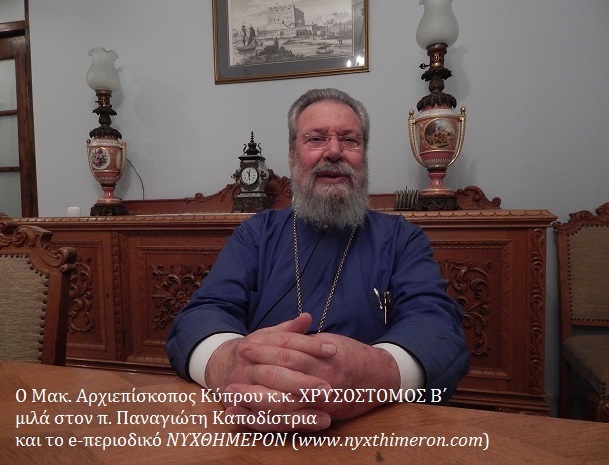 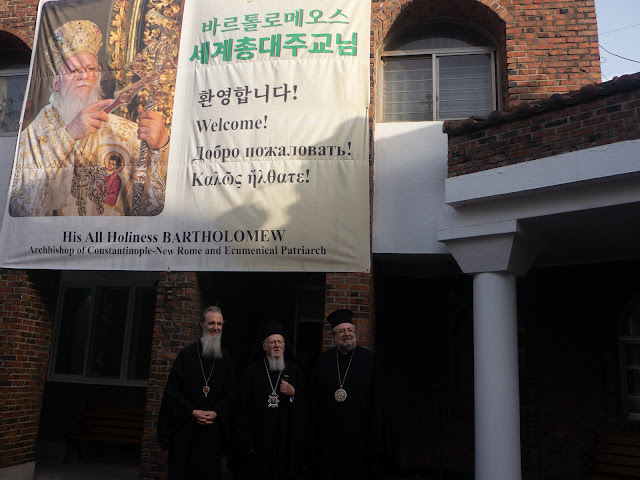 His All-Holiness, Ecumenical Patriarchate Bartholomew, Archbishop of Constantinople and New Rome, arrived at Incheon International Airport on Monday, December 3, and was warmly welcomed by His Eminence Metropolitan Ambrosios of Korea and the faithful of St. Paul’s Orthodox Church of Incheon, South Korea. 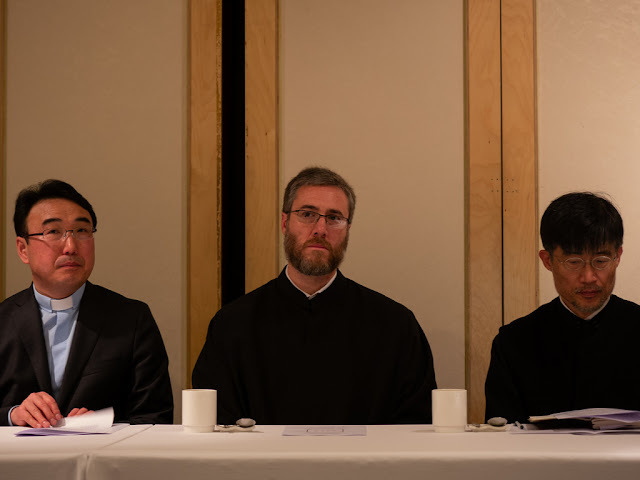 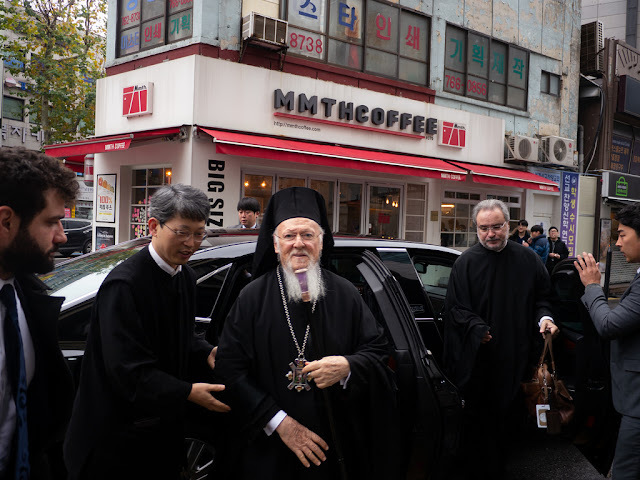 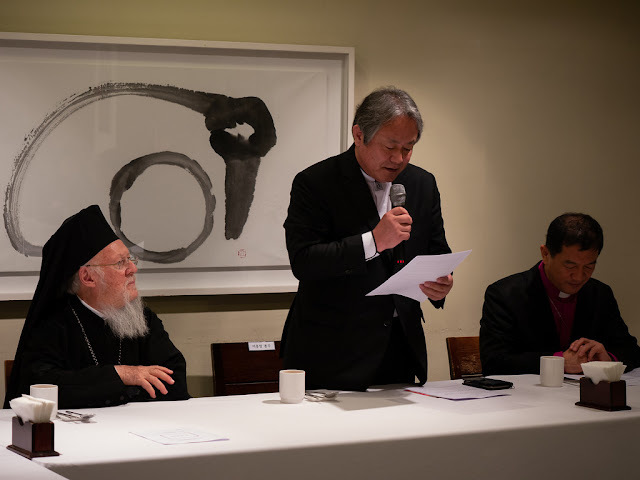 Thereafter, His All-Holiness traveled into Seoul where a large gathering of believers from the St. Nicholas Parish welcomed him at the Seoul Garden Hotel (Mapo). 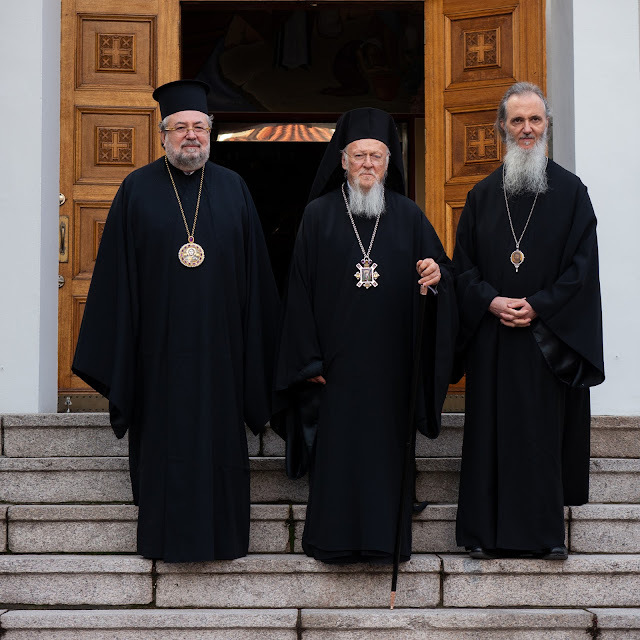 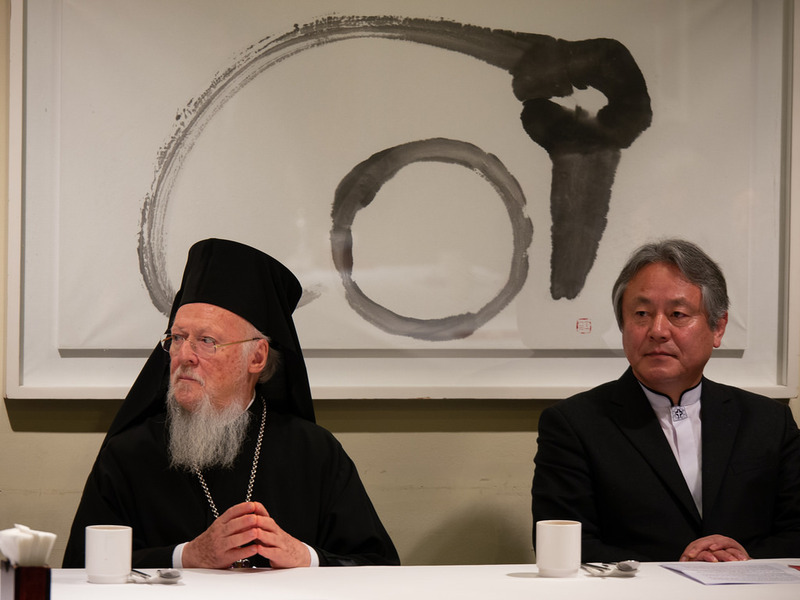 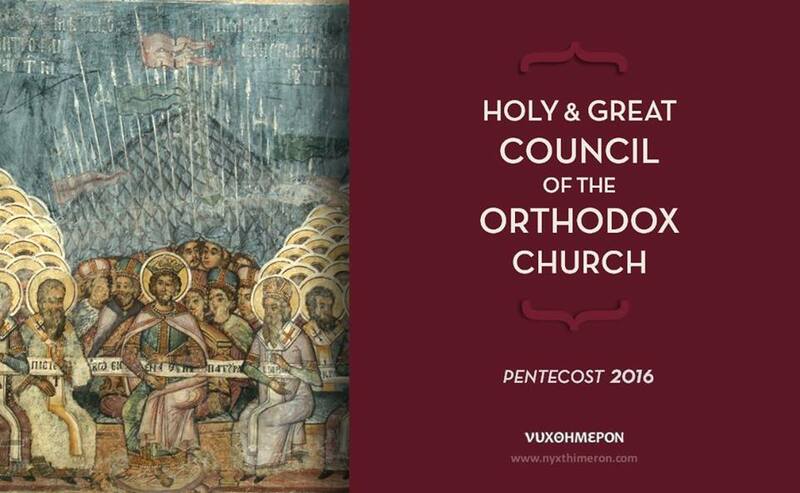 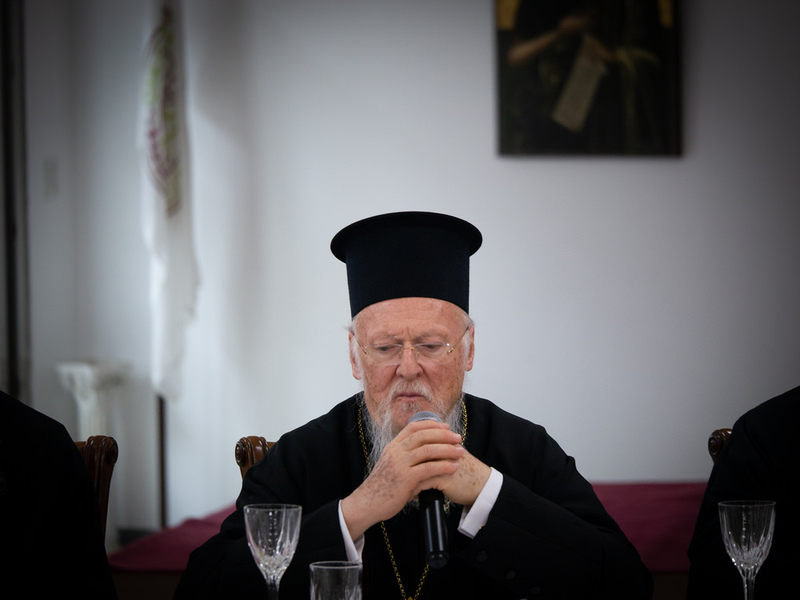 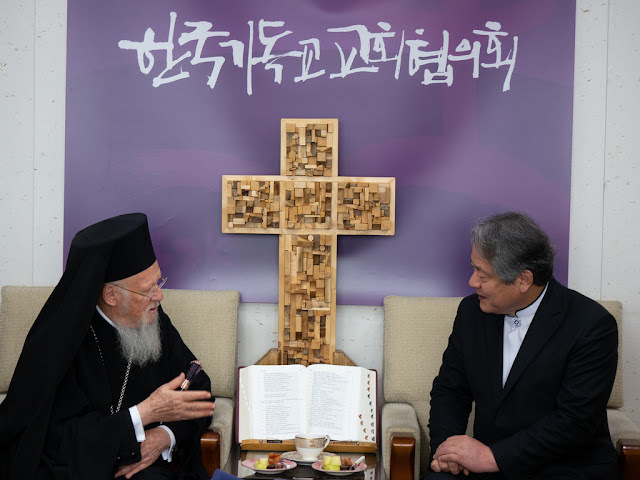 The Ecumenical Patriarch gave a message of warm encouragement and honor to the efforts of the Korean Orthodox believers who steadfastly maintain their faith, rooted in Christ. 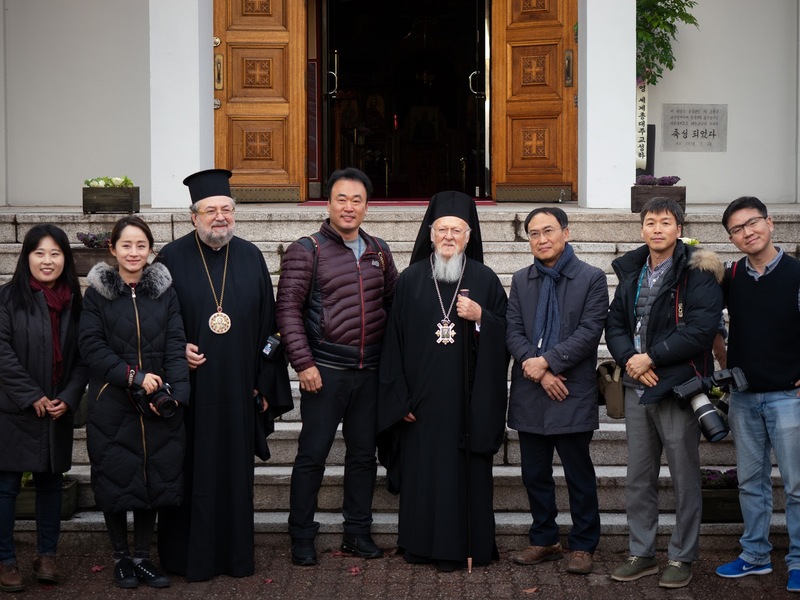 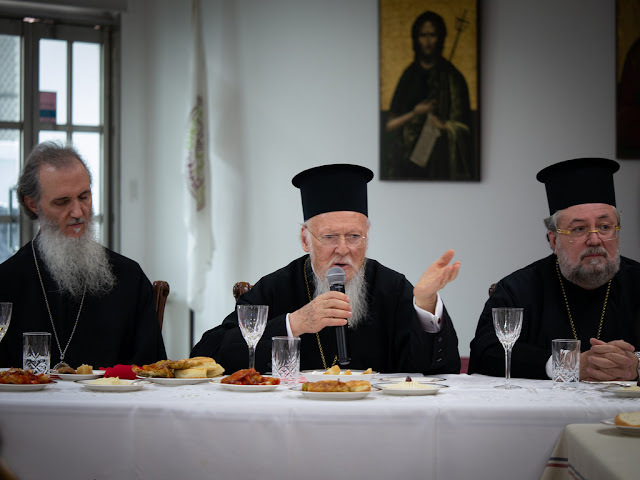 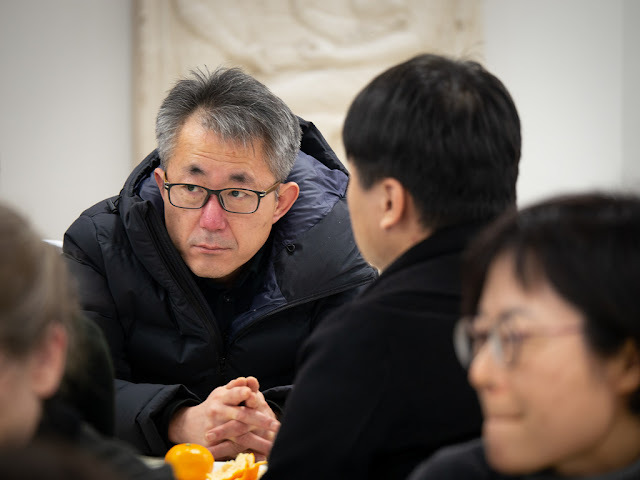 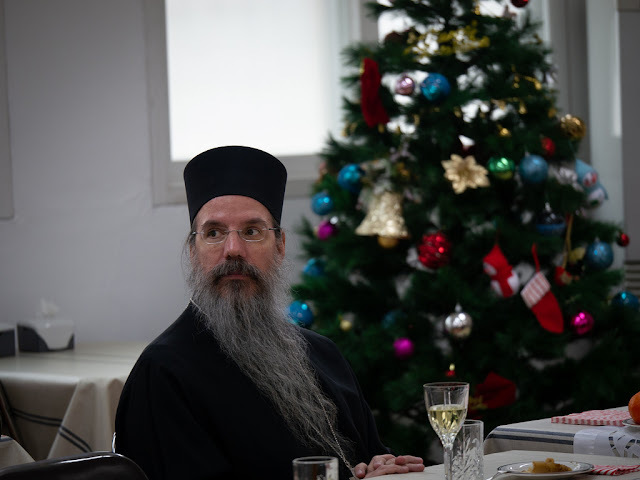 On Tuesday, December 4, His All Holiness, the Patriarch of Constantinople and New Rome visited the National Council of Churches in Korea’s headquarters and met with area Church leaders. 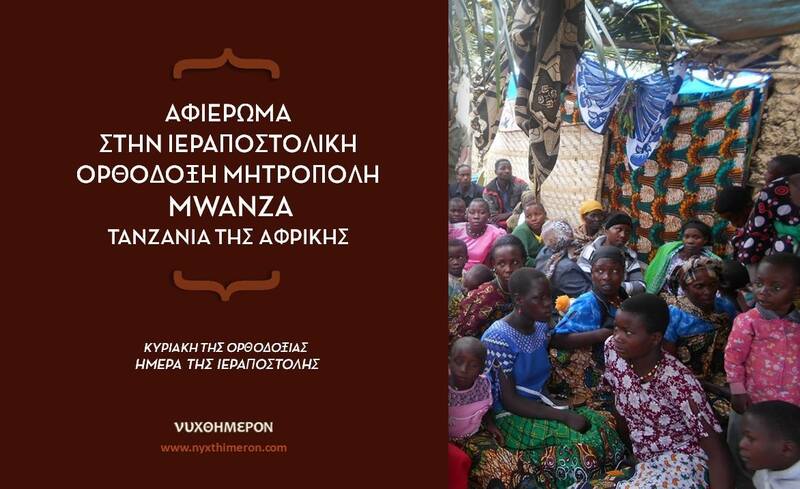 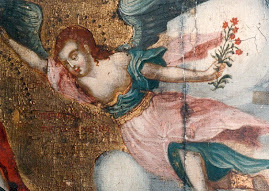 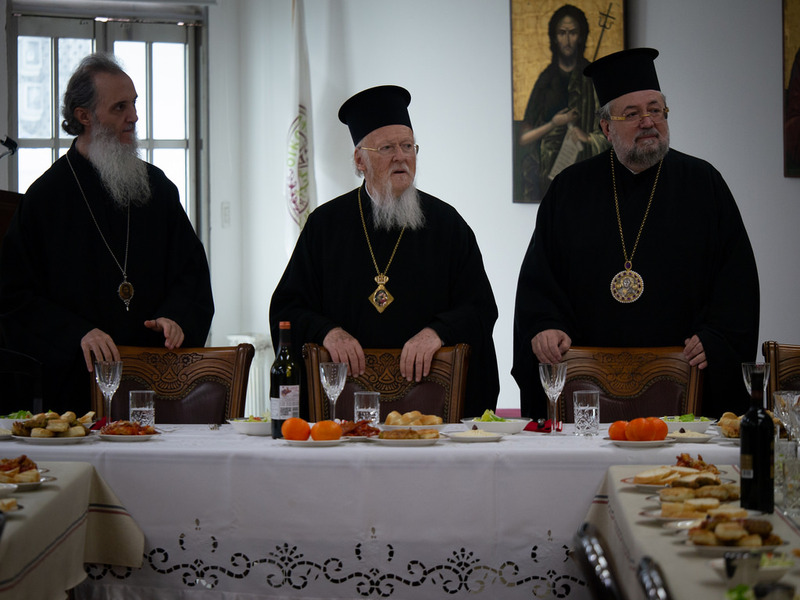 Then, they enjoyed a luncheon held by the Anglican Church. 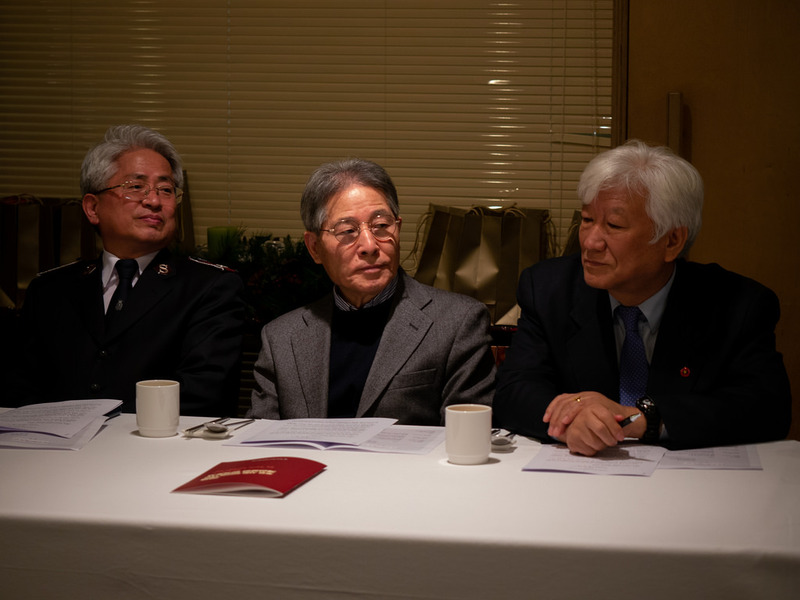 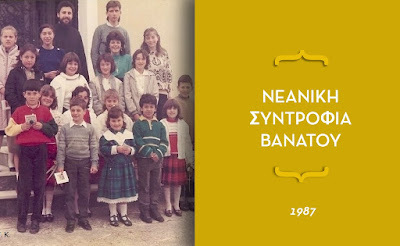 At 3:30 the same day, a press conference was held with various major newspapers and television stations. 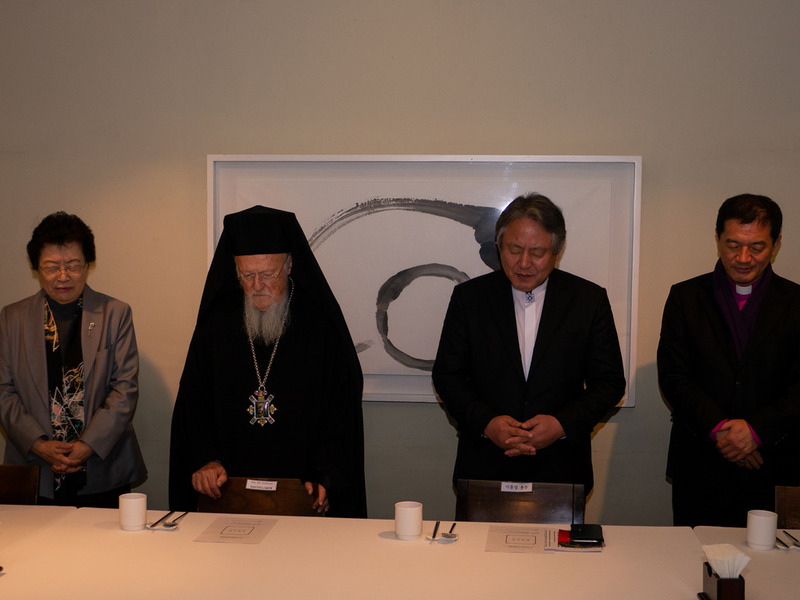 His All Holiness explained the purpose of his visit to Korea and stated that he is hoping for the unity of Korea. 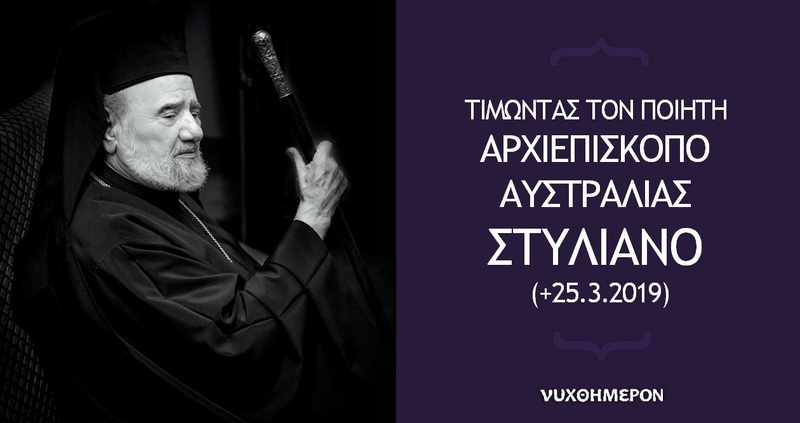 Later that evening, His All Holiness attended a dinner hosted by the Greek Embassy in Seoul at the Lotte Hotel. 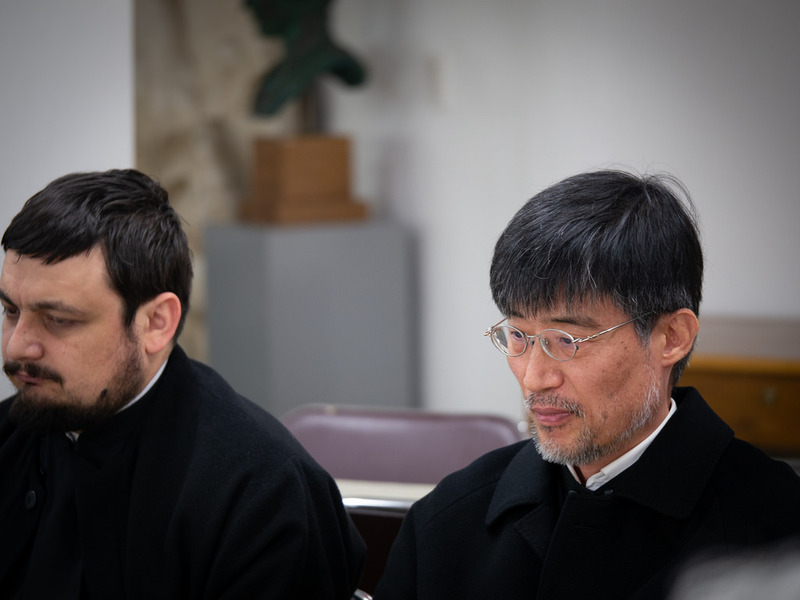 Thus concluded His All Holiness’s second day in Korea. 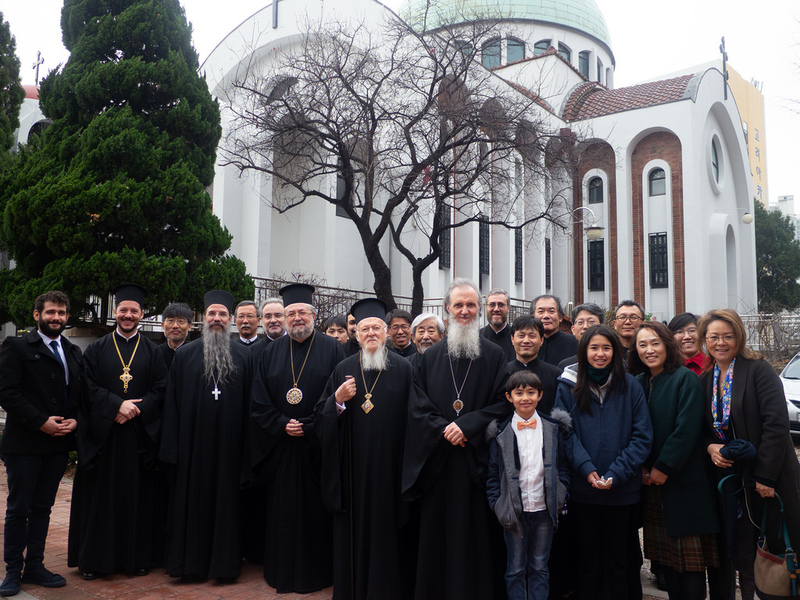 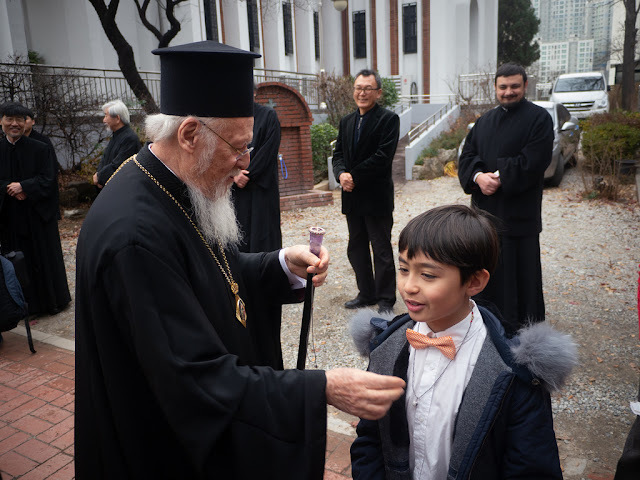 On Wednesday, December 5, 2018, the feast day of St. Nicholas, His All Holiness, Patriarch of Constantinople and New Rome, visited St. Nicholas Parish in Seoul. 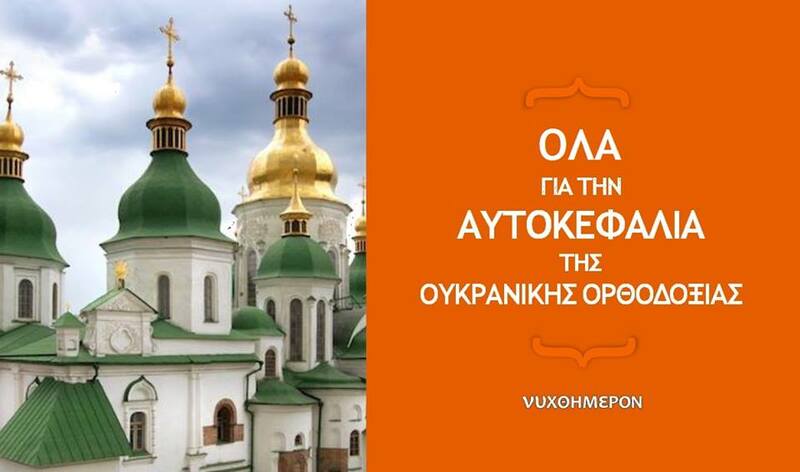 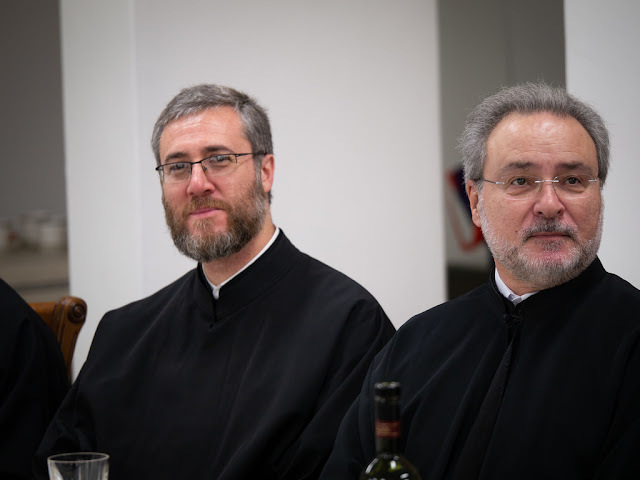 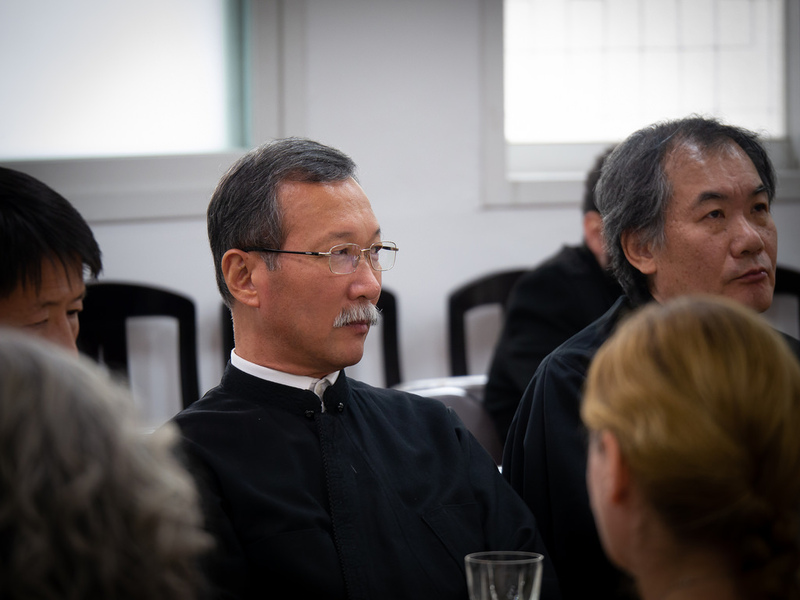 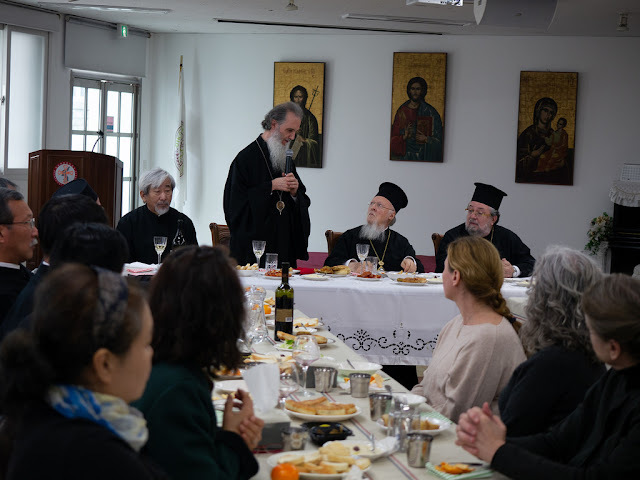 Together with the clergy of the Orthodox Church in Korea, they enjoyed a luncheon prepared by the faithful of St. Nicholas Parish. 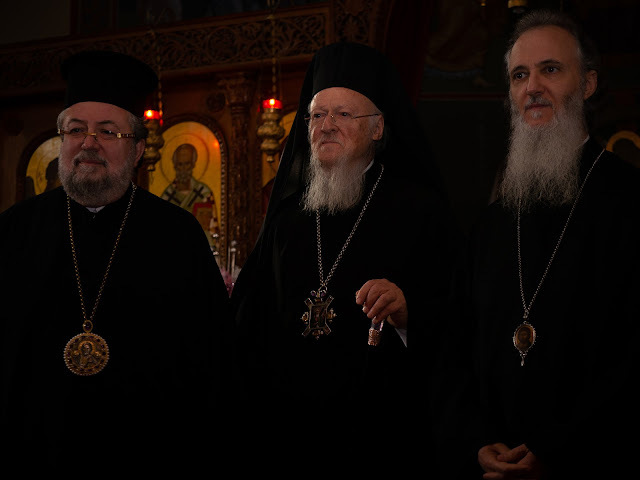 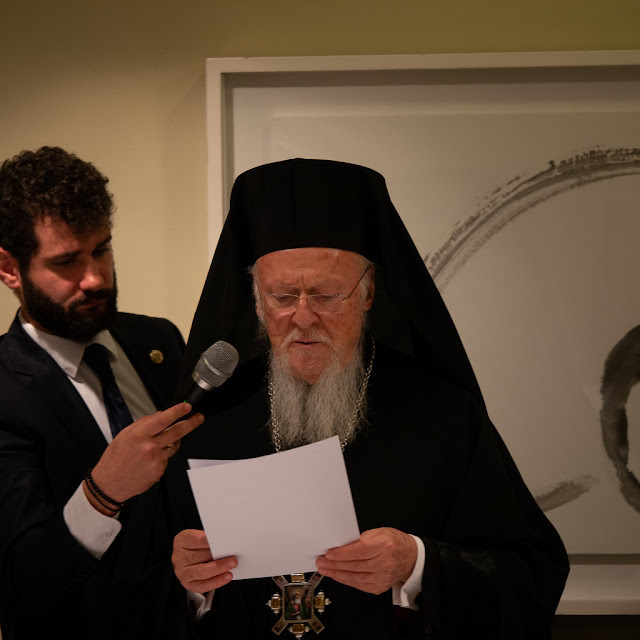 His Eminence, Metropolitan Ambrosios, introduced the clergy and the faithful of the parish and His All Holiness also shared words of encouragement and praise for strength and unity of the Orthodox Church in Korea.